The idea of retiring to some far-flung locale replete with warm weather, ample shoreline, and a favorable exchange rate is an attractive notion to many people. Indeed, searching for the hot new country in which to buy retirement property has become something of a sport for many folks in their golden years. It seems that on an almost annual basis, some previously unheralded nation pops up that looks like an attractive option to relocate to. 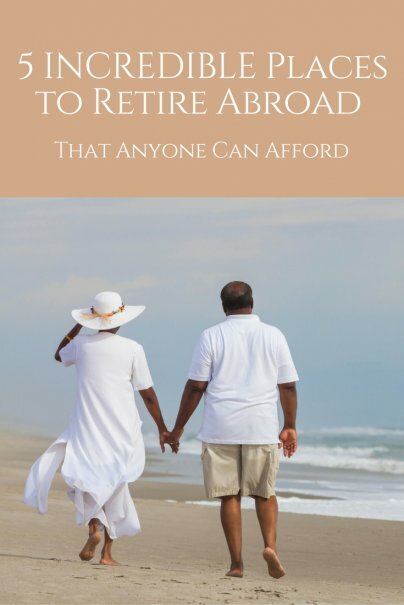 And with the economy squeezing the retirement dollar of a large portion of the U.S. middle-class, there are many who simply have no other option than to retire in another country. This translates into low prices on real estate as well. 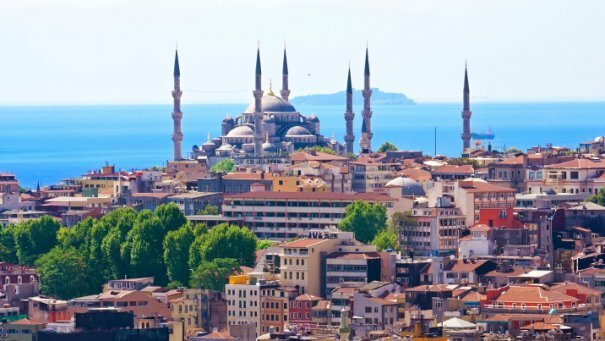 Even in the capital city of Istanbul, it is possible to find an apartment for sale between $20,000-$40,000 and a house for between $100,000-$200,000 dollars. Prices are often even less in the smaller towns and villages that dot Turkey's landscape. So between the cost of living, a favorable exchange rate, and bargain real estate prices, many retirees should be able to purchase a home in Turkey. For the last few years, Panama has been on many older folks' radar as a retirement destination. But what it has in terms of natural beauty and a low cost of living is at least matched in Ecuador. This South American gem offers everything from volcanoes and jungles to beaches and even the Galapagos Islands (although you can't actually retire there). 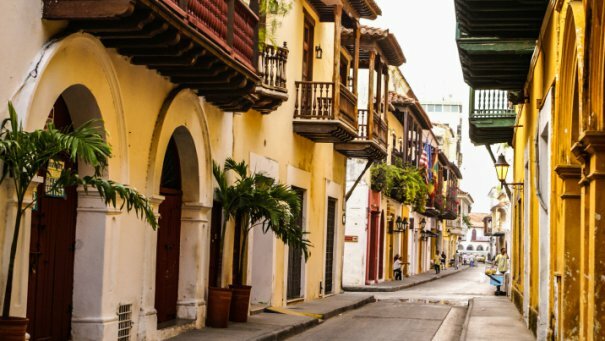 From the capital city of Quito to the expansive beaches of Guayaquil, there are a number of prime spots in which to find retirement property in this little country. As for the economy, Ecuador adopted the U.S. dollar as its official currency, so expats needn't worry about currency exchange issues. And with estimates putting Ecuador's inflation below 4%, things should remain stable for the foreseeable future. Those who do relocate here will find that they can live on a pittance, often finding that their budget doesn't need to exceed $300-$400 per week. Those who don't mind a bit of a jaunt to their retirement destination (Thailand is about an 18-hour flight from New York) can choose this country to kick back in. Visitors from Europe and Australia have long touted the affordability of this Southeast Asian hotspot, and it's about time Americans learned about these virtues, too. A person (or even a couple) can get by on a budget of about $1,800 per month including rent, and that even allows for splurging and the occasional beach getaway. 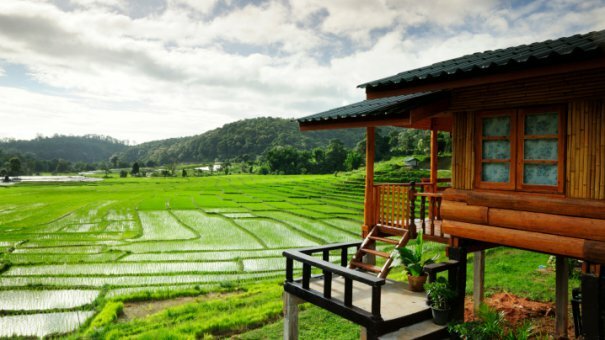 There are a number of destinations within Thailand, but most folks choose to hang their hats in either the capital city of Bangkok or the more relaxed environs of Chiang Mi. In Bangkok, residents can take advantage of rich street food for less than $1 or dine at many four-star restaurants even while adhering to a strict budget. Those with medical needs can rest easy knowing that the country has a superb health care system that is also inexpensive, and folks here can see a specialist for about $50 per visit. On the other hand, Chiang Mai is only a few hours drive from the capital, but it may as well be a different world. Noted for its lush mountainous landscapes peppered with the occasional Buddhist temple, residents can take advantage of the temperate climate and laid-back lifestyle while still enjoying cheap prices. 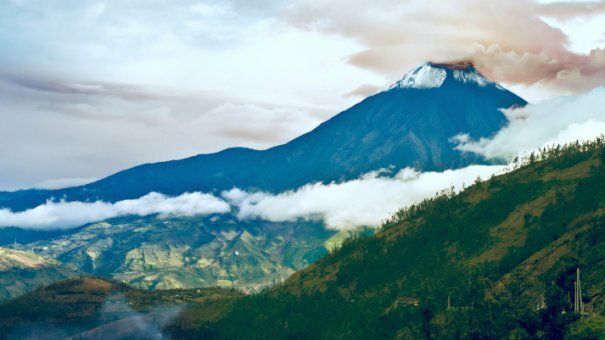 Right next door to Ecuador sits this lush Caribbean country, and more and more foreigners are discovering it each and every year. That's because Colombia no longer enjoys the reputation for violence that plagued it in decades past. That's good news for tourists and retirees alike. Those who want a second home here have many attractive real estate options to choose from. And considering the average monthly salary in the country is around US $300, expats can easily get by on less than $2,000 per month and live high on the hog in doing so. 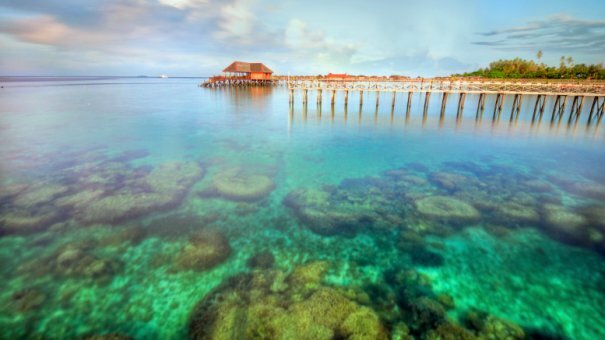 If Thailand doesn't strike a chord, retirees can opt for another Southeast Asian expat haven — Malaysia. Consistently ranked in International Living's annual Global Retirement Index, this country offers the affordability of Thailand (folks can live a pseudo-luxurious lifestyle for around $1,700 per month) as well as the stellar health care system. And since the most of the country's doctors have studied in Europe, England, or the States, it's no problem finding an English-speaking physician. Emigres can even import their vehicles and furniture into the country duty free. One other incentive to move here is called Malaysia My Second Home, a 10-year resident visa that can be acquired by making a down payment and proving a certain income per month. Have you considering retiring abroad? Where? Thanx. May be nice for a visit but I prefer to be retired in my own country . . . the good ole US of A.
Ecuador is a great choice! The local currency is the U.S. dollar, so you don't have to deal with any funny exchange rates. Most people know Quito but Cuenca is the city that is a haven for retirees from all around the world. That's Chiang Mai (not Mi) in Thailand. I'm actually living (solo 54 yr old lady) between Thailand, Bali, Indonesia and India; visas, activities and weather oblige. I only come back to the USA to visit family and friends one month of the year. I live a beautiful quality of life on a monthly budget of $900 US dollars. Americans can't and don't travel and are raised on fear with 'nose to the grind stone'. Good ole USA? What a joke! What you fail to mention in this article, is the people; in SE Asia people are gentle, smiling, tolerant, respectful, happy and interested in you as a human being. In Asia I practically NEVER hear about or see aggression, arguments, whiny children, road rage, fights, murders, child and women abuse, police harassment, etc. The healthcare and education is better too. This article seems to be more 'parroting' than writing from personal experience; much nicer when people write about and comment on actual personal experiences. The concept is good though, for life in general, why wait to retire to start 'living'? Great comment, Kristie! Thanks for chiming in with your personal experience. I quite agree with your assessment. I used to sell aircraft to Thai Airways and visited many times. I love the Thai people. I also lived in Shanghai and much prefer Thailand. Tell me about the weather! I can't abide too much heat on top of humidity. Your life sounds like a dream!